The proposed ships routeing measures will be submitted to IMO’s Maritime Safety Committee (MSC 95) in June for adoption. New ships routeing measures aimed at protecting sensitive areas in the south-west Coral Sea, off Australia’s Great Barrier Reef, have been agreed by the IMO Sub-Committee on Navigation, Communications and Search and Rescue (NCSR). The recommendatory area to be avoided and two-way shipping routes aim to reduce the risk of ship collisions and groundings by separating opposing traffic streams, whilst ensuring ships keep clear of reefs, shoals and islets in the sensitive marine environment in Australia’s Coral Sea Commonwealth Marine Reserve. 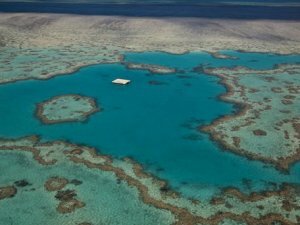 Australia submitted the proposals as ”Associated Protective Measures;” linked to a proposal to extend the Great Barrier Reef and Torres Strait Particularly Sensitive Sea Area (PSSA) eastwards, to parts of the Coral Sea. The PSSA extension proposal will be submitted by Australia to IMO’s Marine Environment Protection Committee (MEPC) in May 2015 for consideration. The ships routeing measures are an ”area to be avoided” and two new five nautical mile wide two-way routes, on either side of the area to be avoided. The Great Barrier Reef (Australia) was the first Particularly Sensitive Sea Area to be designated by IMO, in 1990, and the extension of the existing Great Barrier Reef PSSA to include the Torres Strait (Australia and Papua New Guinea) was designated in 2005. They are two of the 14 PSSAs designated by IMO to date.